Looking for a data visualisation tool? 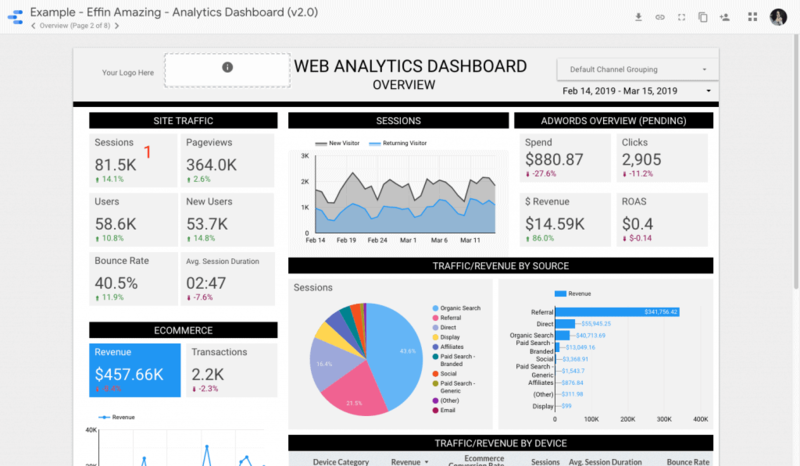 Grab these FREE Data Studio Templates to speed up your reporting. 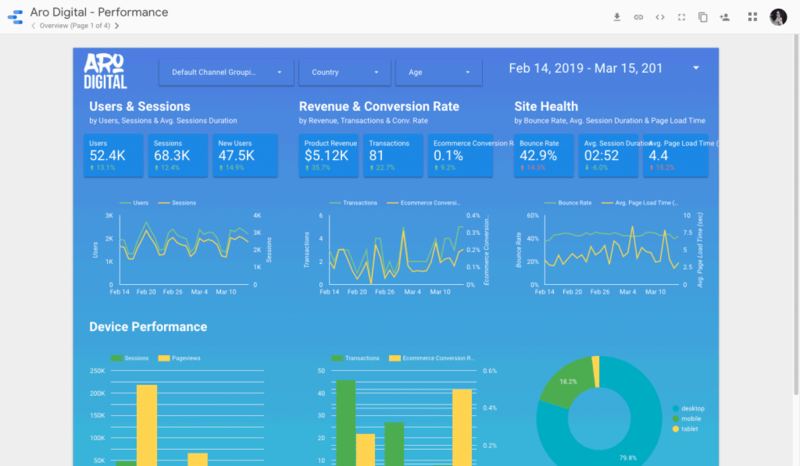 But Google Data Studio is a great tool for creating fancy reports (and useful analysis tools). And it also integrates with Google Sheets. 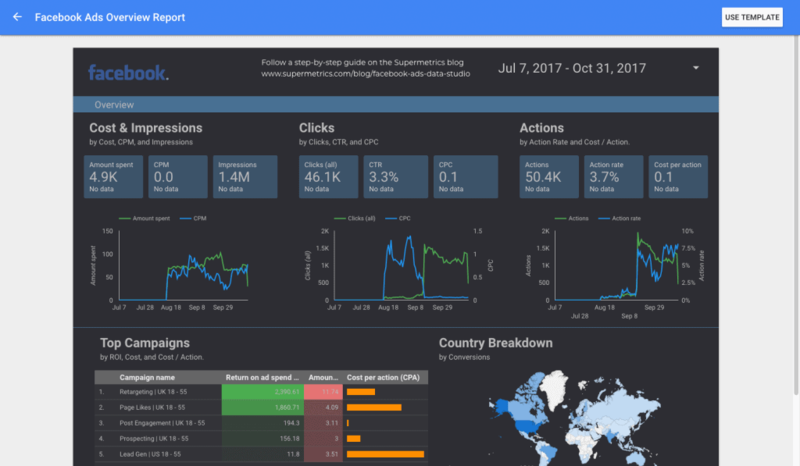 Google Data Studio is a free reporting tool you can use to create highly customisable dashboards and data visualisations from lots of data sources. 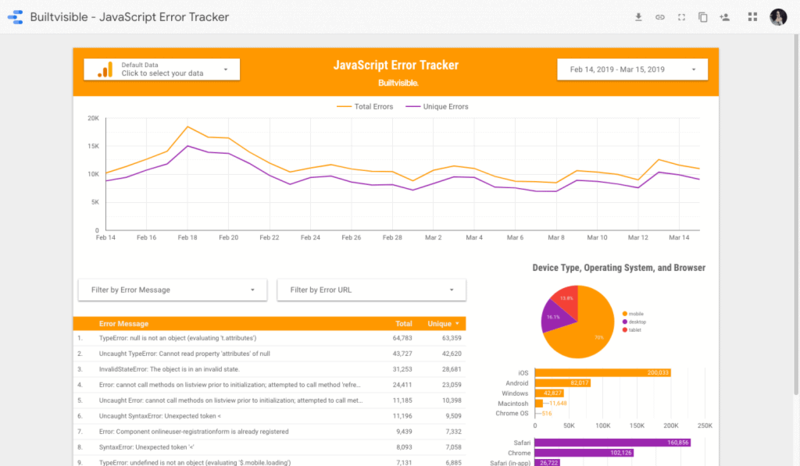 Dynamic reports that can automatically update. Easy to setup connections between other Google services like Analytics, Adwords, Search Console and of Google Sheets! Ability to share reports (just like sharing any other Google Drive files). 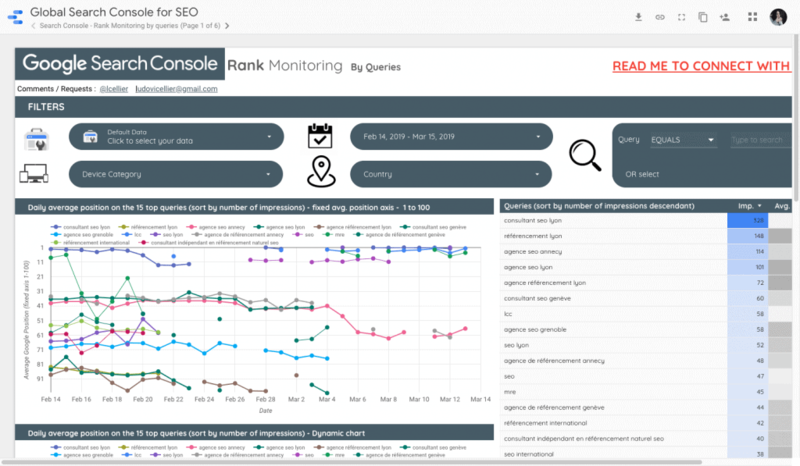 Use this dashboard from Aleyda Solis to easily visualise and analyze Search Console data. There are actually three reports here: Behaviour, Acquisition, and Audience for insightful reporting. This is a great monthly overview report. What’s useful is it comes loaded with demo data so you can have a play around with it (without needing access to Google Analytics). This report quickly finds and visualises meta data optimisation opportunities. A one-click marketing report to show how your content marketing, SEO, and traffic generation efforts performed. 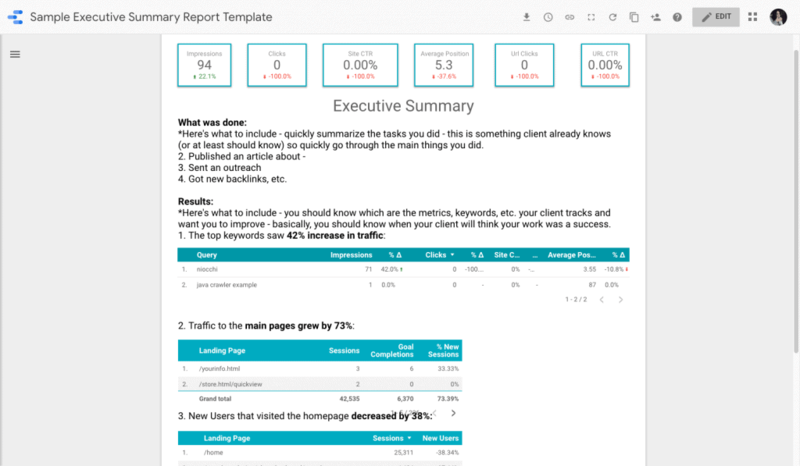 A 7 page report for content marketing that acts as an all in one marketing and SEO template. 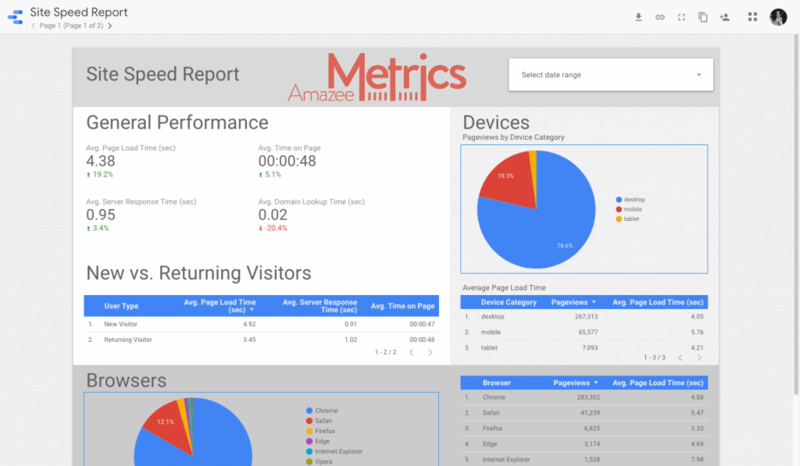 Shows all important metrics and marketing KPIs without having to login to your Google Analytics account. 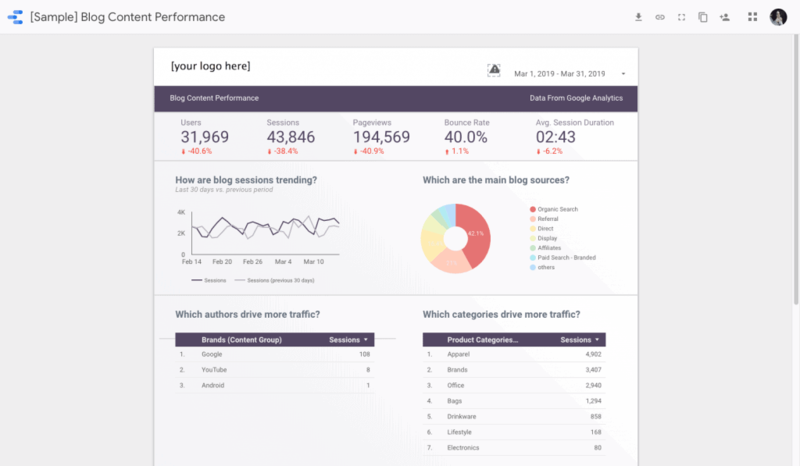 This report shows how content is performing: how are blog sessions are trending, what’s driving traffic, which are the top categories and more. 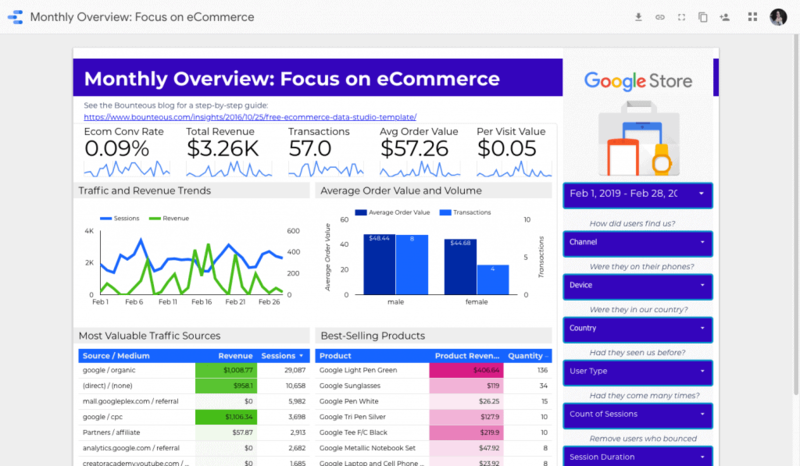 A multipage report for eCommerce that helps make sense of data. Another great eCommerce template. 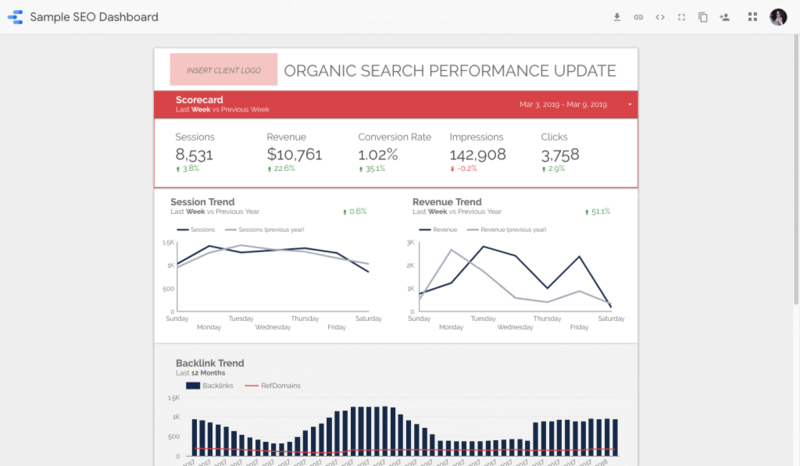 This one gives you easy to read data and metrics at glance thanks to calculated metrics and sparklines. 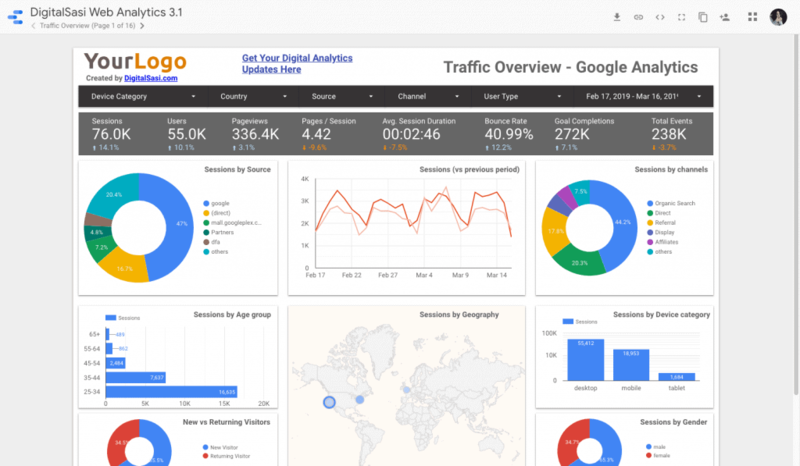 A great Ecommerce report loaded with data from the free Google Analytics Demo Account. So if you don’t have your own data, you can play around, experiment and learn Data Studio. Nice. 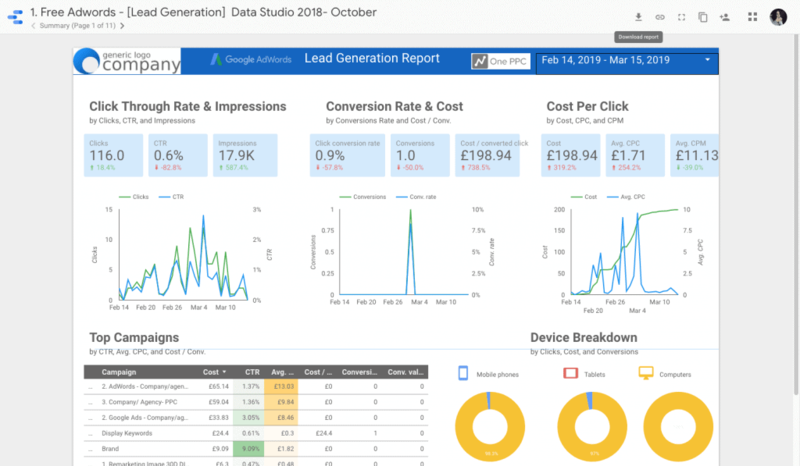 A 10+ Page Adwords Template Report for Google Data Studio for pulling in Adwords, Facebook and Bing Ads data. 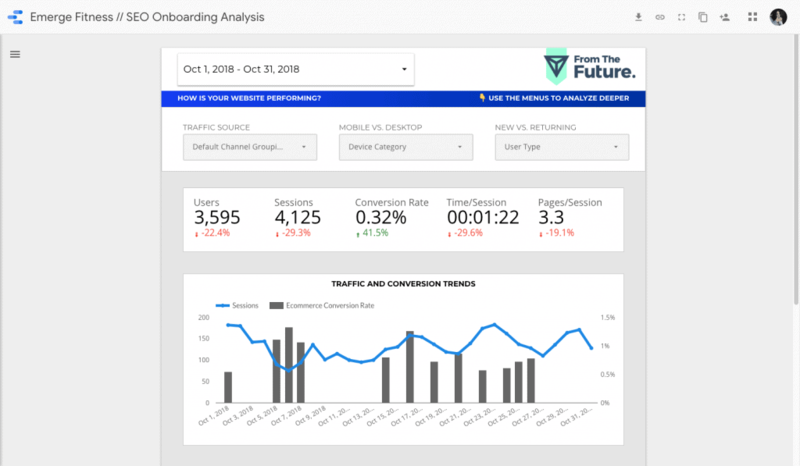 A Facebook ads reporting dashboard built using Supermetrics. 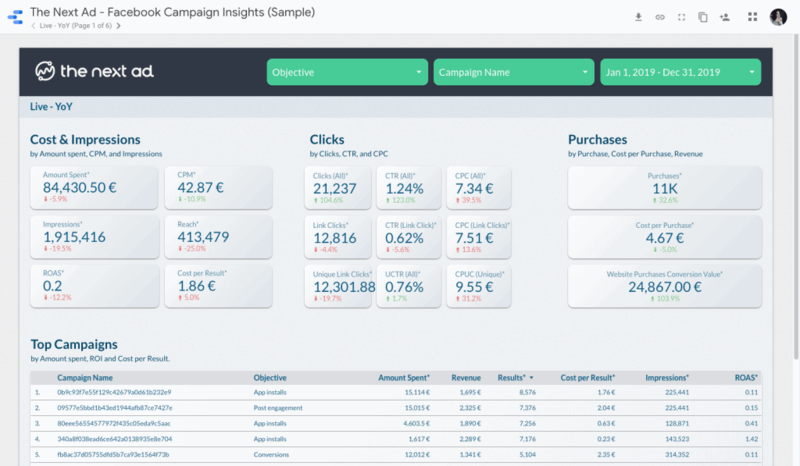 From The Next Ad, this report makes finding insights for your latest Facebook Campaign nice and easy. This simple but effective speed report shows you exactly what pages are not running as fast as they should be. 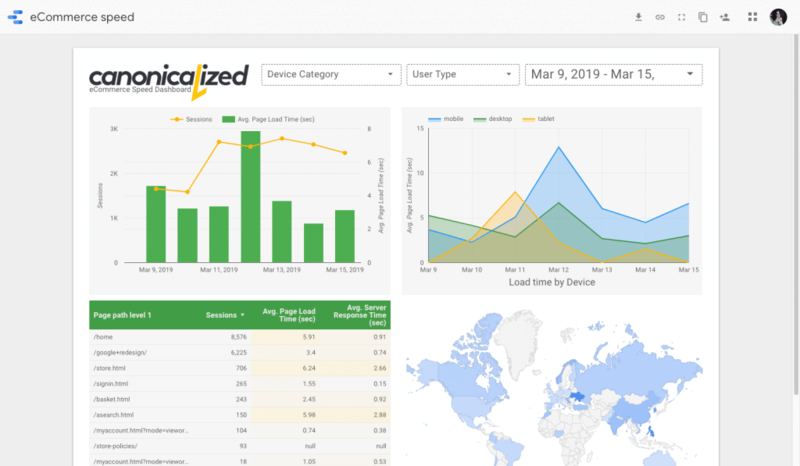 A practical SEO dashboard to quickly review client performance, find any issues and judge the effectiveness of ongoing optimization. 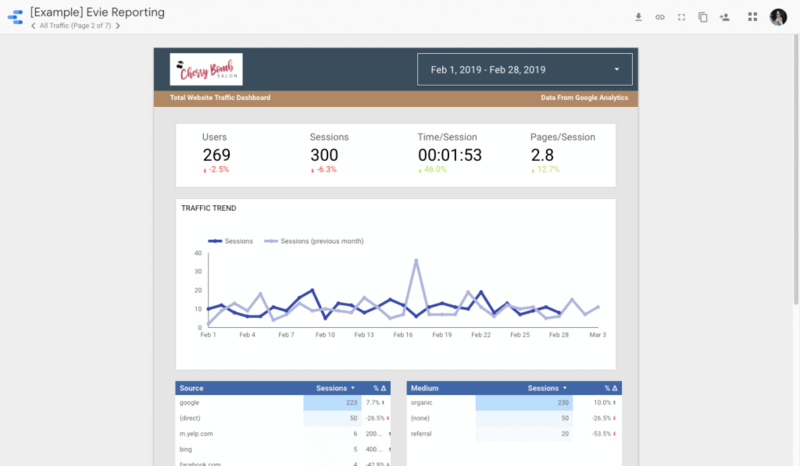 Two dashboards here to help you track the speed of your site based on the Average Page Load Time metric. 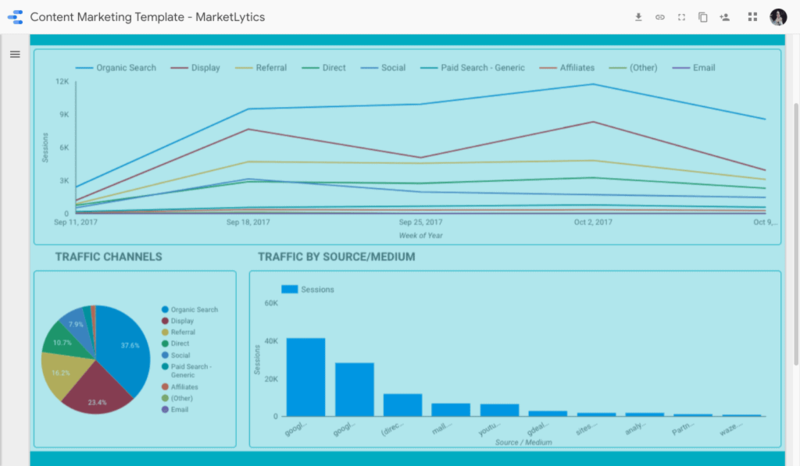 A 4-page report that simplifes your website & marketing insights (with date, channel grouping, country and age filters). 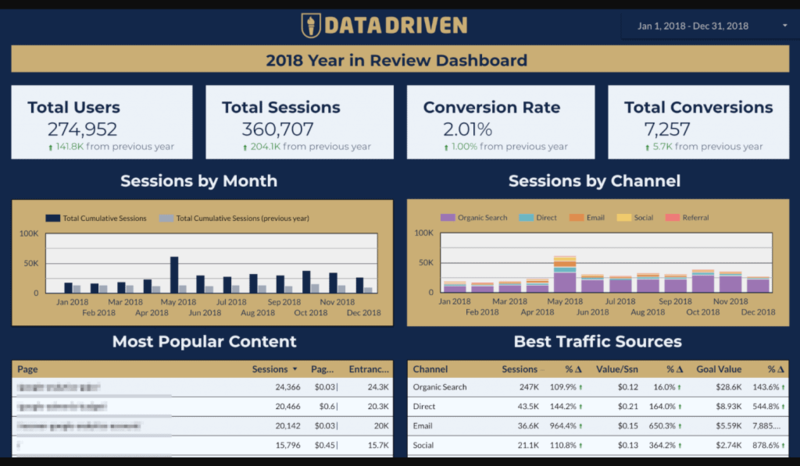 Does what it says on the tin: a rank tracker built with data studio. Sweet! 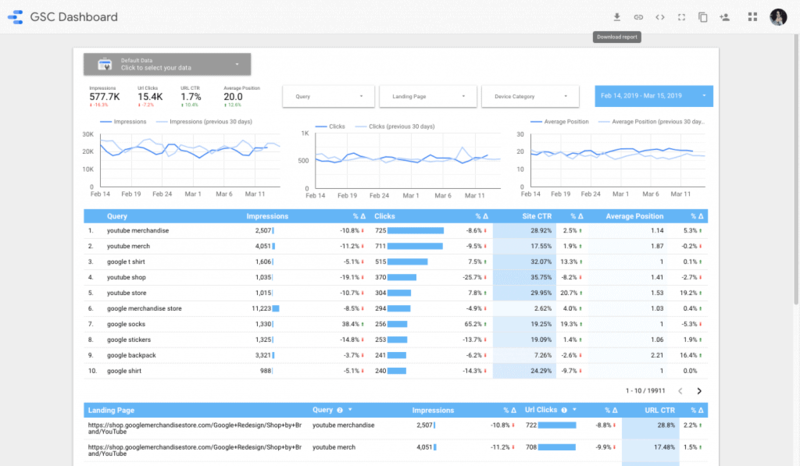 A monthly SEO report for clients using Google Analytics and Google Search Console data. 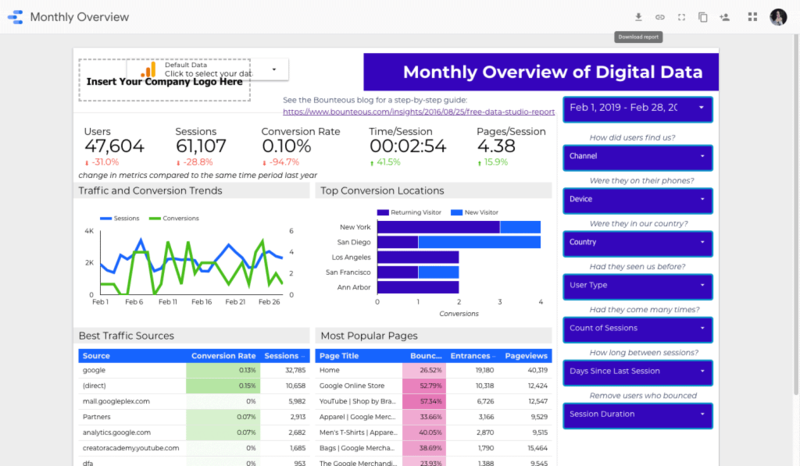 This monthly report uses data from Google Analytics, Google Search Console, and a crawl from Screaming Frog to highlight the previous month’s SEO performance. 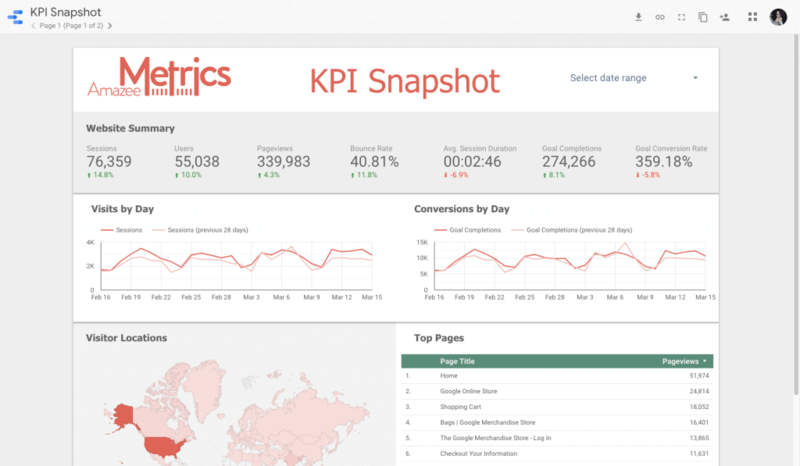 Use this site performance dashboard to track KPI’s in order to to keep an eye on the performance of your website. 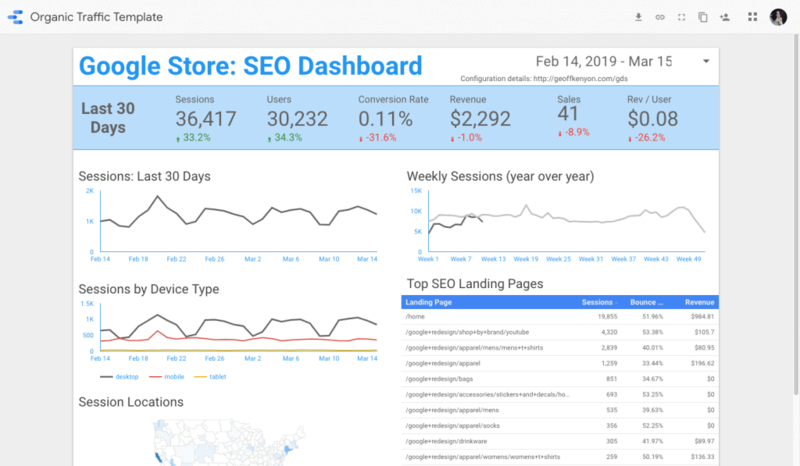 This Data Studio template analyzes your website’s organic performance so you can get a handle on Organic traffic trends, top performing pages, keyword visibility and more. 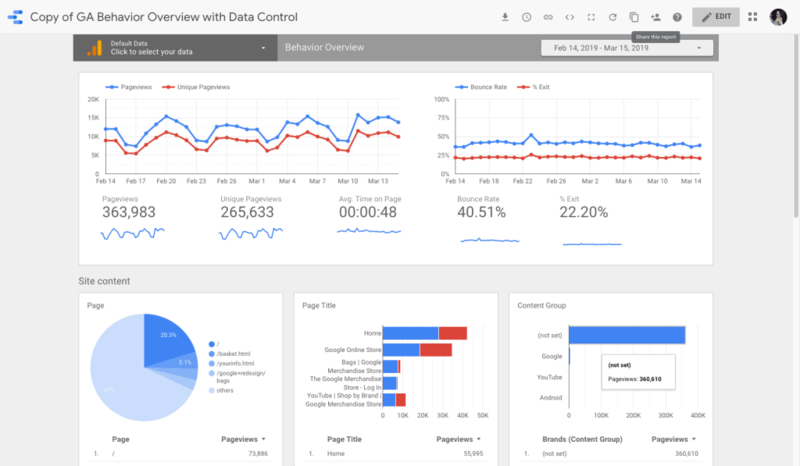 Use this dashboard to visualise data from Google Analytics, Adwords and Search console into detailed reports for events and goals. 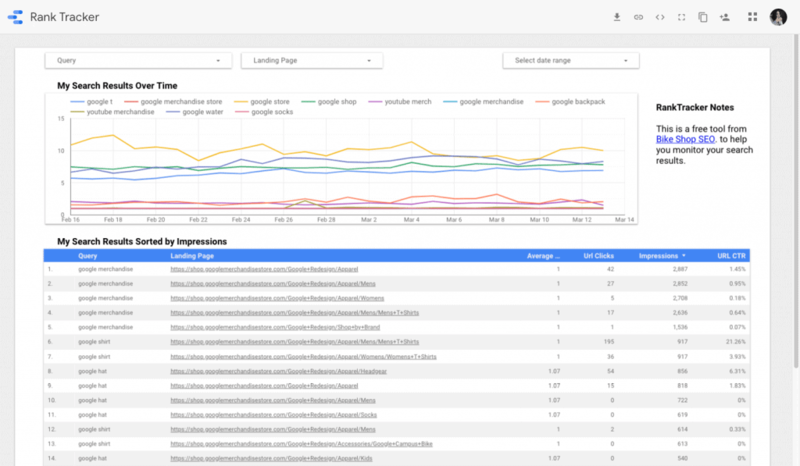 There’s three separate reports here: KPI Snapshot, SEO report and Adwords performance. 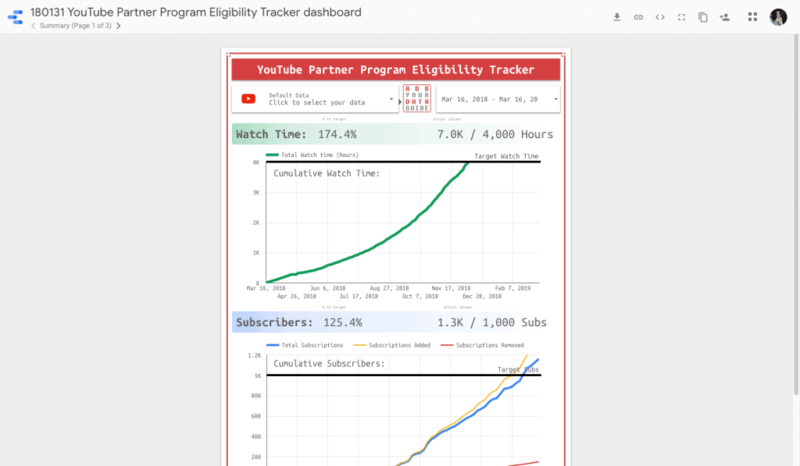 A dashboard to help YouTube creators see how they are performing to see when to start monetizing their videos. 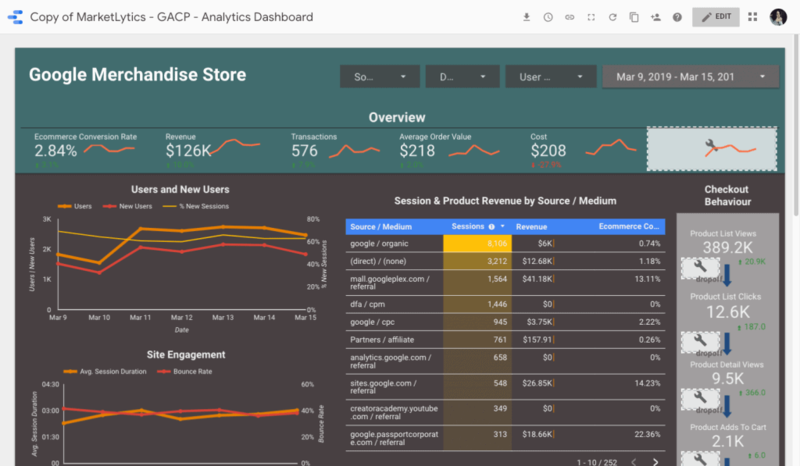 So there you have it: loads of Data Studio Templates to get stuck into. If I’ve missed one or maybe you’ve built something yourself that isn’t on the list, just let me know and I’ll add it. If you like this collection, you might like the curated directory of Google Sheets templates. Theres over 100 sheets in there to help marketers. Check it out.